Home » x-ray » How Much Radiation with CT Scans of the Sinus or Neck? How Much Radiation with CT Scans of the Sinus or Neck? Patients are often too quick to want CT scans to further evaluate their symptoms without appreciating the downsides of such exams. For ENTs, that mainly involves scans of either the Sinus or Neck. Using the website RayRisk.com, one can easily figure out how much radiation exposure occurs with not just CT scans, but all other radiological scans as well. 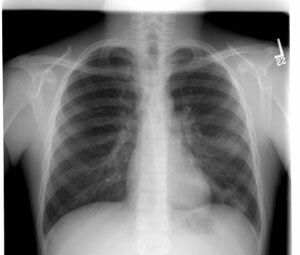 To use as a baseline, take a regular Chest X-ray which exposes a person to 0.10 mSv of radiation. A CT Sinus scan requires ~0.7 mSv or radiation equal to about 7 chest x-rays. A CT Neck scan requires ~6.0 mSv or radiation equal to about 60 chest x-rays. A CT Head or Brain scan requires ~2 mSv or radiation equal to about 20 chest x-rays. Obviously, the more radiation exposure, the greater future risk for cancer development. So unless a CT scan is truly necessary, the future cancer risk may not be worth it. Radiological exams that do NOT expose a patient to radiation include ultrasounds and MRI scans, though there are definite downsides to these tests as well (MRI scans can not see bone and ultrasounds have poorer definition).